AUSTRALIA’S peak live animal exporter body will continue the sector’s reform agenda even if a proposed phase-out of sheep exports gains political momentum after next month’s Federal Election. 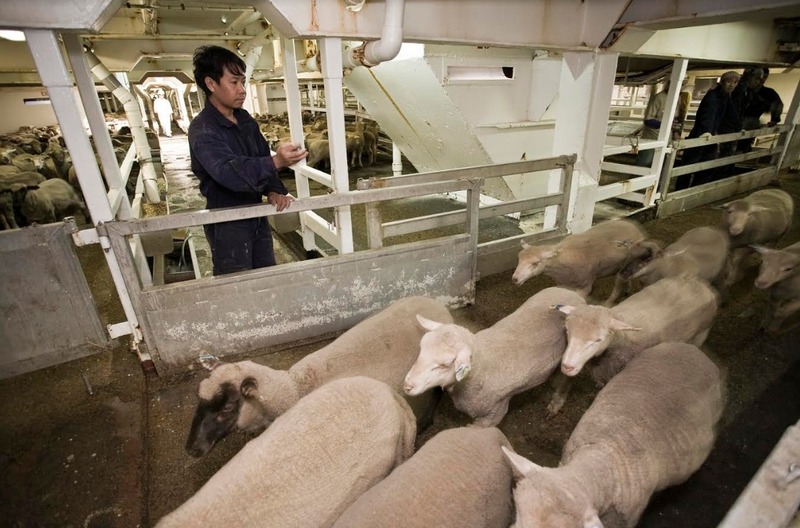 The sector is facing policy agendas by the Australian Labor Party, the Greens and independents, the RSPCA and animal right groups, to either ban or phase out live sheep exports. But the Australian Live Exporters’ Council is working to avoid this, and intends to continue its reform agenda regardless, aiming to sway political and community opinion. ALEC chief executive officer Mark Harvey-Sutton believes the live export industry’s current strategy of sustainable reform of live export standards and practices, and the trade’s community and economic value should be enough to potentially defeat any future political moves to phase out the sheep trade. “Yes I do; it has to be (enough), there is a need to continue our reform process, but more importantly for exporters to demonstrate leadership. 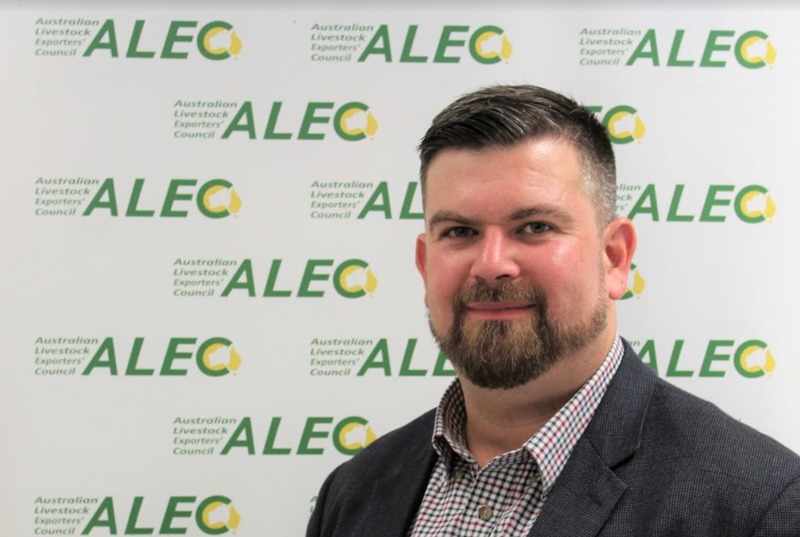 The ALEC CEO said he did not want to pre-empt the outcome of the election, but the body has been making preparations to deal with a Labor government and speaking closely with the current shadow minister for agriculture Joel Fitzgibbon. “The key thing we need to is ensure that errors or mistakes or poor animal welfare outcomes do not occur on his watch during any transition, if there is to be a transition. Mr Harvey-Sutton believes the opportunity would have an opportunity to prove itself during any transition period and possibly even avoid an ultimate cessation of the trade. “That would be the desired outcome,” he said. Loading sheep for live export. Mr Harvey-Sutton said there no doubt the live export sector is under intense political and community scrutiny. “Whether we like it or not, we are going to be the lense through which agriculture is viewed and that is a great responsibility that we need to carry. “I think we’ve seen from the events earlier this week and the (vegan activists) protests that occurred that we are not the only industry that is being challenged,” he said. Mr Harvey-Sutton said priorities in ensuring the live export trade has sufficient community and political support to weather political opposition are two-fold. “It was obvious during the events of last year that community and political support for the live export trade deteriorated and what we need to do is mend those relationships. “From a political perspective it’s about proving ourselves and demonstrating. Several of the reform measures are outlined in the opinion piece, but the ALEC CEO said they include implementation of the government reviews and formation of an ALEC conduct committee. ALEC is also undertaking a project to reset the industry in terms of how it communicates with and is viewed by the broader community. 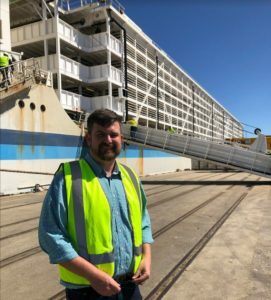 Australian Livestock Exporters’ Council CEO Mark Harvey-Sutton dockside. The conditions shown in the footage was inexcusable and, without doubt, it has set Australia’s livestock export industry back. But the Australian Livestock Exporters’ Council’s agenda for ongoing improvement in our supply chains hasn’t slowed. In fact, our determination has been hastened. I was appointed ALEC CEO in January, but in my previous roles working for the Sheepmeat Council of Australia, the Cattle Council of Australia and the National Farmers’ Federation, I have seen first-hand livestock exporters make significant progress over many years. Last year, a mandatory code of conduct for ALEC members was introduced, with tough sanctioning or any breach of the code. It complements ALEC’s comprehensive industry reset project which is redefining the way exporters engage with the community in the future. Specifically, in response to the Awassi Express incident, ALEC members have also signed up to our three-month moratorium on sheep shipments to the Middle East during the northern hemisphere summer. This pause has now been accepted and enforced at a regulatory level. Since May 2018, live sheep shipments have operated under new stocking density requirements which have been overseen by independent observers on board, whose reports are confirming animals are being transported in a way which upholds their wellbeing. Exporters have sought to see these reports much more quickly then they currently are, so that any issues that may be identified can be remedied as a priority. As an industry we continue to invest significant exporter and producer funds into science-based solutions, including the development of animal welfare indicators that represent a shift away from mortality as a sole measure of a voyage’s success. The development of animal welfare indicators, including technology to collect these indicators, is now being trialed after extensive literature review and research. Control and traceability are crucial to livestock export – from the farmgate to the abattoir – and that’s why exporters and producers have invested in the development of the world-leading Livestock Global Assurance Program, to see international standards for live animal export supply chains. The importance of pushing on with the roll-out of LGAP is more apparent than ever. As ALEC’s independent chairman, Simon Crean told last month’s WA Farmers’ conference in Perth, he acknowledged the imperatives of the livestock export industry when he was first exposed to the live sheep trade in the early 1980s. Even as a union leader, it was clear to him then that there was a specific demand for live sheep and that opening export markets via the live trade could lead to export opportunities for chilled and frozen sheep meat, complementing live export as demand grew. We’ve seen that potential realised in subsequent decades. Indeed, we’re meeting the demand from a large number of Middle East customers who require meat from freshly, locally killed sheep, while improving animal welfare and capitalising on the opportunities for frozen and chilled sheep meat. Working together, producers and exporters can advance change and present a compelling case to government and the community about the future of the industry. WA locals like Dr Holly Ludeman and producer Bindi Murray who are the faces and driving forces behind The Sheep Collective are making a real difference. Their stories are persuasive because they are based on the facts.